I'm not a comic book guy. I never really have been. And while I love webcomics like Penny-Arcade I don't think I've ever bought a physical comic book in my life. There have been two times when I waded into the shallow end of the comic book pool. The first time was when one of my roommates in college gave my PDFs of comic series he thought I would like. It basically ended up being the entire run of Walking Dead and Y The Last Man. Neither series had been finished at that point but I read everything that had been released at the time. While it didn't get me to run out and buy the next entry in each series, it did show me that modern comic books aren't all boring superheroes rehashing the same events and situations. My second exposure was a year or two ago on free comic book day when I learned about Comixology. It's an app, web interface, and online store where you can buy comics digitally. They were offering something like the first issue of 40 different comic series for free. I downloaded all of the free comics and found a bunch I liked. In that process I found that a Penny-Arcade spin-off comic about the Lookouts was available on Comixology. I actually paid for the entire series. Those were the first, and only, comics that I've ever purchased. Star Wars #1 by Marvel was released and it sold over a million copies. I guess that's a huge benchmark in the comic book world. I did some research and found out that typically the biggest and most eventful comics will max out around 250,000 sales. One million sales is just unheard of. It's the first Star Wars comic that is canon to the franchise. Until very recently the license for Star Wars comics was held by Dark Horse. They've made comics in the universe since the early 90s. 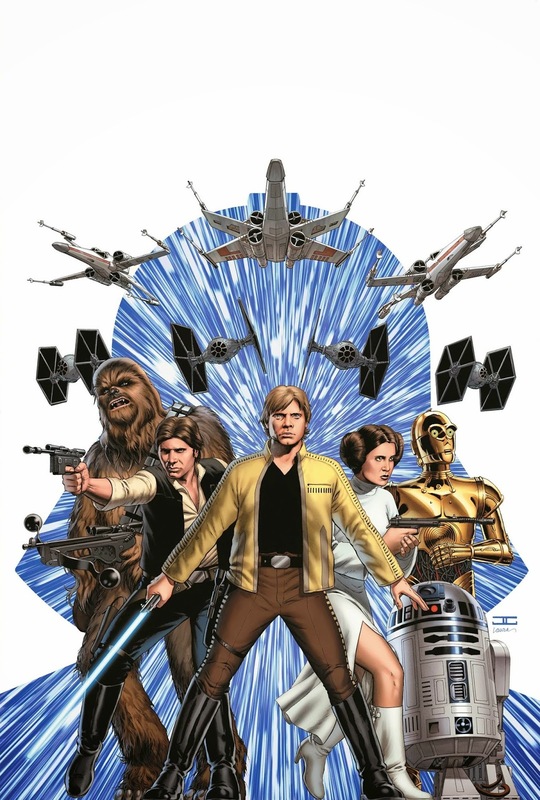 With Disney acquiring the Star Wars franchise they have handed over the reigns to Marvel, wiped away the entire comic backlog from Dark Horse, and are starting fresh. Everything in the comics from this issue forward is canon and will effect the universe going forward. If you can't tell by now, I bought it. I snagged it through Comixology since I'm already familiar with their store. It's a good start to a series that I plan on keeping up with. Maybe this is what will finally get me to become a comic guy. But maybe not. Maybe I'm just a Star Wars guy. I'm ok with it, either way.